Our Club sessions are normally organised by a member of our coaching team or committee member, so you are sure to get games at the right standard for you. There is a small charge for the Wednesday and Saturday adult club play sessions (£1-2) to cover the cost of the new balls provided, and when necessary, the use of the floodlights. When you come to play tennis, you will find a magnet with your name on it. Place the magnet with your name on the left-hand side of the board. As payers arrive they place their name in the queue to play. There is a section on the board for each court in play. When a court becomes available the player at the front of the queue picks three other players from the next eight waiting players. This four can be Men’s / Ladies or Mixed. You can choose anybody you like so don’t be shy. Put the four you have chosen onto the relevant court on the board and go and play your game. When finished – come back and put the four names at the bottom of the list on the left and wait to be picked again. If your four has just come off court and there are only a few players waiting, it might be a good idea to wait for another court to finish so that players can be mixed up further and make sure you don’t play with the same people. 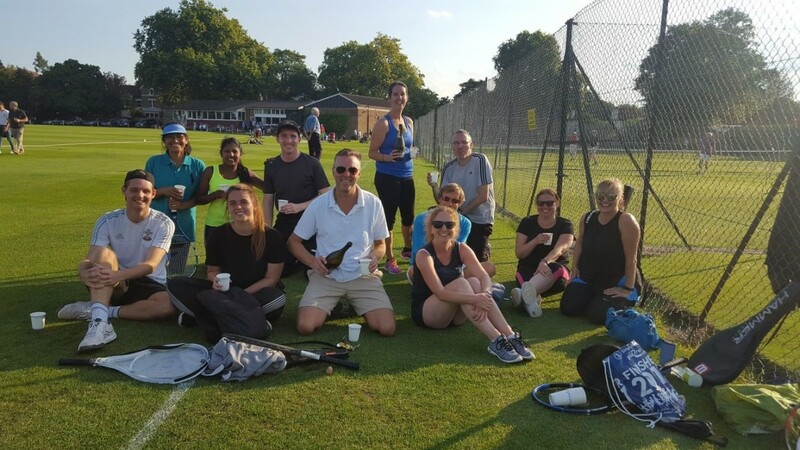 Our club sessions are for social tennis, so if you come to play a club session you must expect to play with whoever is in the queue. If you really do not want to play for whatever reason you should move your name to the bottom of the queue. There will be someone at the start of the session to take the money, give you tennis balls and set up the first round of games. We will also monitor how this system is used to make sure it is working properly and effectively for the members. If you do not have a name badge, there are some blank ones available to write your name on or alternatively please use the name of a member who is not there that day. For more than 100 years, afternoon tea has been served in The Summer Pavilion, from 4pm, on Saturdays. Further details can be found here. Please note that on Fridays juniors have priority on Courts 1-10 from 4.30-6:30pm.